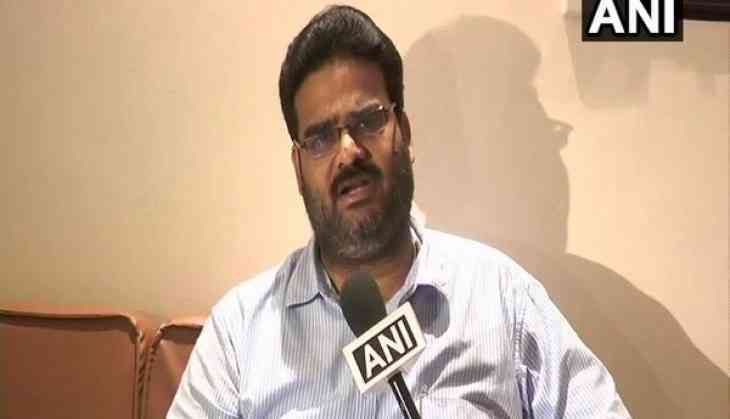 TDP leader Lanka Dinakar on Thursday accused the BJP of doing "vendetta politics" by "using the Income Tax department" to conduct raids at various properties of Andhra Pradesh minister P Narayana. "This is vendetta politics. BJP B team is in Andhra - Jagan Mohan Reddy, with Telangana Chief Minister (K. Chandrashekar Rao). They had asked P Narayana not to contest the election on behalf of TDP. He didn't accept the proposal, so they are using the Income Tax department with the help of Prime Minister Narendra Modi and BJP," Dinakar told ANI. The TDP minister also said it was time for the public to teach YSRCP Chief Jagan Mohan Reddy and Prime Minister Modi a "lesson". "On one hand the Prime Minister has not fulfilled AP Reorganisation Act and Special Category status, on the other hand, Jagan Reddy is at the footsteps of KCR and Prime Minister Modi, acting against wishes of people of Andhra Pradesh. It is time people of Andhra teach a lesson to Jagan Mohan Reddy and Narendra Modi," Dinakar said. According to reports, two teams of the Income Tax department officials carried out searches at Narayana's residence and the office of Narayana Medical College on Thursday.